Former Chinese leader Deng Xiaoping was cited as saying that “two hundred dead could bring 20 years of peace to China,” a month before the Tiananmen massacre of June 1989, declassified files have shown. The file was in the final batch of cabinet files from the former British Prime Minister Margaret Thatcher. They were recently declassified from the National Archives in London and released online on Friday by the Margaret Thatcher Foundation. 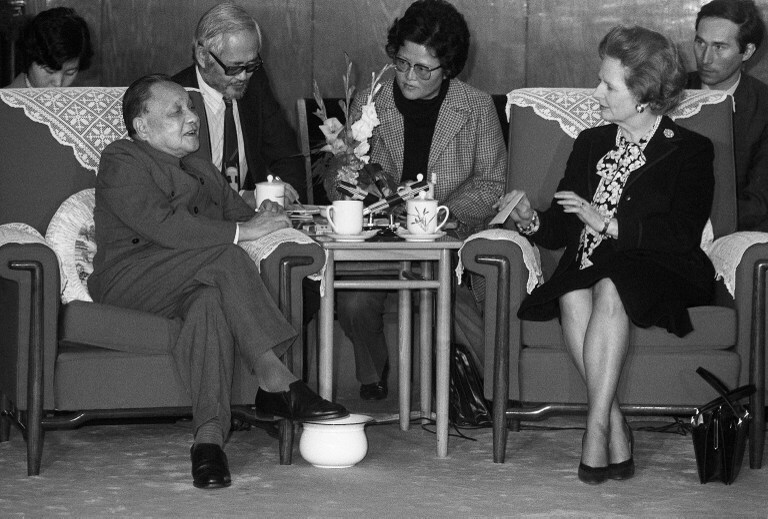 Photo dated 19 December 1984 showing senior Chinese leader Deng Xiaoping (L) meeting the then British Prime Minister Margaret Thatcher in Beijing. 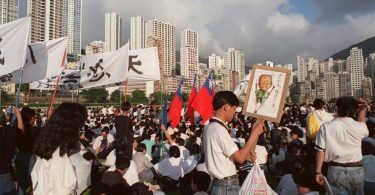 The joint Sino-British declaration sealing Hong Kong’s future was signed in 1984. Photo: Pierre-Antoine Donnet/AFP. On May 20, 1989, British Ambassador to China Alan Donald sent a telegram to London saying he had lunch with American sinologist Stuart Schram. 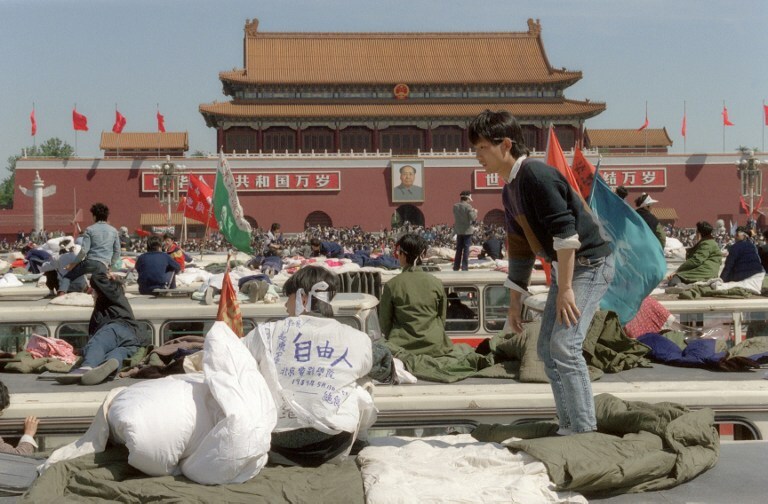 Student hunger strikers stay on top of buses parked at Tiananmen Square in Beijing 19 May 1989. 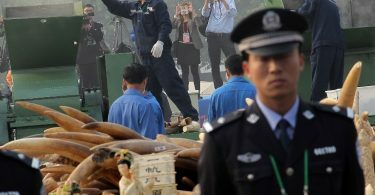 FIle photo: Catherine Henriette/AFP. Martial law was imposed on Beijing by Premier Li Peng that day. “There may still be voices within the leadership counselling moderation. But the frustration and anger at the way the students have made the government and party lose face may now be bringing matters to a crisis,” Donald said. The Tiananmen massacre occurred on June 4, 1989 ending months of student-led demonstrations in China. It is estimated that hundreds, perhaps thousands, of people died when the People’s Liberation Army was deployed to crackdown on protesters in Beijing.